Geronimo teams up with Hercule Poirat to solve another hair-raising mystery in this mouse-tacular adventure. Holey Cheese! 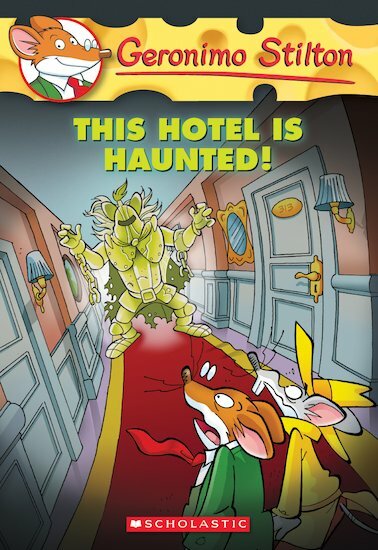 Our favourite mouse finds himself in the middle of a mystery when his friend Hercule calls him in to investigate some strange going-ons at the famous Grand Hotel in New Mouse City. An armour-wearing ghost has been haunting the hallways with a ball and chain! Can Hercule and Geronimo team up to discover who – or what – is behind these spooky scenes?